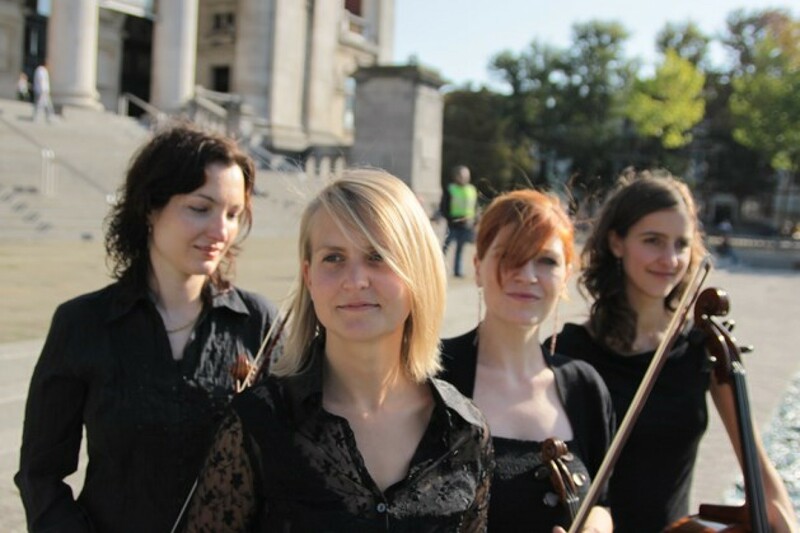 The string orchestra Donnacorda (from the Italian Donna = woman and Corda = snare) was founded by violinist Eva Vermeeren at the end of 2005. As conductor of the string orchestra the Turnhoutse Snaar and first violinist of a female string Quartet, Eva’s ambition was to make a combination of these two by establishing a professional string orchestra. Donnacorda’s main goal is to give a new and fresh meaning to the classical string orchestra programme. Moreover Donnacorda explores the world of modern music and wants the public to share in their musical, professional and virtuoso activities. The Donnacorda String Orchestra has had the pleasure to perform with artists as Rod Stewart in the Sportpaleis, Antwerp, and at Tim Van Steenbergen’s fashion show, Waagnatie, Antwerp. They also accompanied the famous American Hip Hop artist Kanye West in the AB, Brussels and at Belgian rock festivals Werchter and Marktrock. In the summer of 2006 they performed at the Mechelse Plein Festival in Antwerp with a string orchestra programme, varying from baroque to modern classical music and with the famous contra tenor Steve Dujardin as a guest soloist. In 2007, on the initiative of Jack van Poll, they gave a few concerts (jazz) accompanying Tutu Puoane, Els De Schepper and Eddie C., together with jazz pianists Jack van Poll and Ewout Pierreux. Since 2009, after Eva being on tour with her Quartet for two years, they have been focusing on expanding their program and recording film music. Donnacorda String Quartet "The American"